April 20, 2016 – This year, NASA will celebrate Earth Day, April 22, with a variety of live and online activities Thursday and Friday, April 21-22, to engage the public in the agency’s mission to better understand and protect our home planet. NASA Hyperwall and Science Gallery exhibits, hands-on activities and demonstrations. 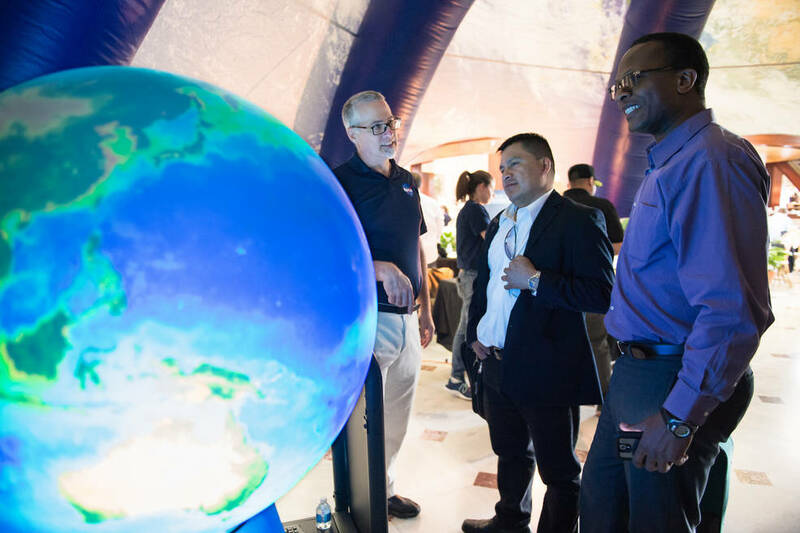 NASA scientists will give talks April 22 at the Hyperwall stage following the opening ceremony at 11 a.m., featuring NASA Chief Scientist Ellen Stofan, Michael Freilich, director of NASA’s Earth Science Division in Washington, and others. Activities will showcase sustainability themes, including energy saving solutions and renewable energy. More than a dozen electric cars will be on display with test drives available. Master gardeners and pollinator specialists will answer questions and offer tips. And wildlife and natural conservation specialists will discuss methods to safeguard wildlife, preserve natural resources, and protect Florida waters. Approximately 50 exhibitors from around the United States will be attending. NASA is inviting people all around the world to share on social media what they are doing to celebrate and improve our home planet. In return, the space agency will also share what makes up a “day in the life” of NASA Earth science, capturing everything that’s involved in better understanding and protecting our home planet. NASA uses the vantage point of space to increase our understanding of our home planet, improve lives and safeguard our future. The agency develops new ways to observe and study Earth’s interconnected natural systems with long-term data records, shares this unique knowledge, and works with institutions around the world to gain new insights into how our planet is changing.